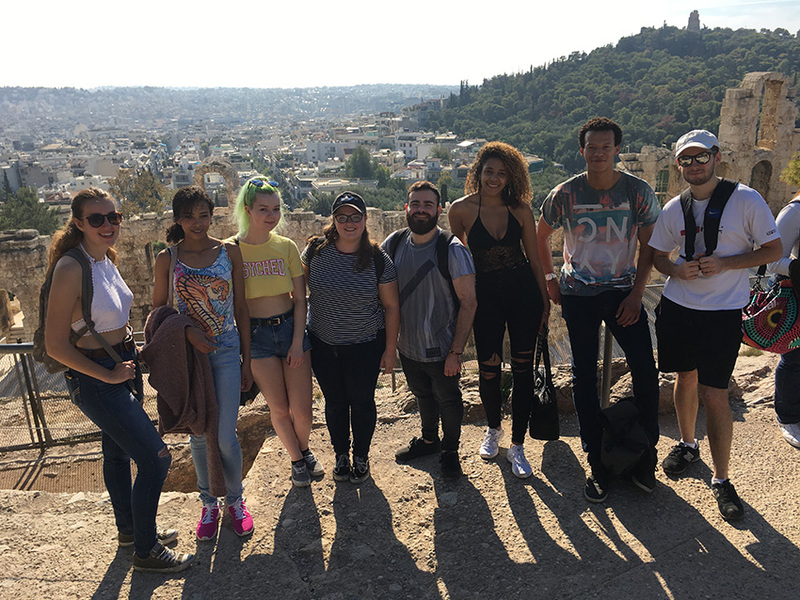 I’ve just had the pleasure of embarking on a cultural exchange to Athens, Greece, along with a group of 10 other Psychology students ranging between Foundation Year and 2nd Year. 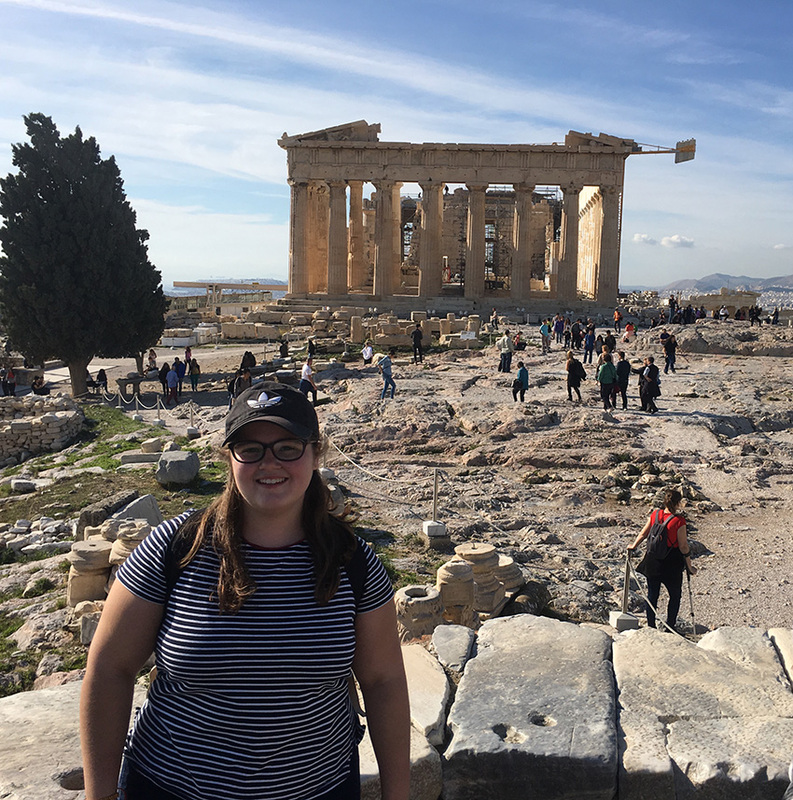 We were accompanied by Dr. Clare Glennan who was just as excited as the students to be in the beautiful city of Athens! Upon arrival we had the opportunity to explore what the city had to offer at night. The main street called “Ermou” houses many well-known shops worldwide such as ZARA and Marks & Spencer. There was a very homely atmosphere with Christmas decorations and lights hanging over the cobbled streets, yet the city had a constant electric buzz. Whilst wandering down the side streets, we found a typical Greek restaurant where we indulged in some fabulous kebabs and refreshing salads, the typical delicacy of Greece. Team Cardiff Met in Athens! During the first day in Athens, we met at the City Unity College (CUC) Einstein café and bar to meet the Psychology students studying there. They took us on a guided tour around the city, focusing on the the “Plaka” which lies in the shadows of the acropolis. This area screams history with churches on every other corner and old family run shops and restaurants selling homemade goods. That evening, we returned to CUC which is partnered with Cardiff Met. It mirrors the 3 year BSc (Hons) Psychology course that Cardiff Met provides. It was mind-boggling to think that students living all the way in Greece were studying exactly the same things as we are in Cardiff! We had had a lecture on ethics in Psychology, such as the importance of informed consent and protection from harm in research. We followed this with a presentation and discussion about drinking culture in the UK, especially during university, and how this differs from attitudes towards drinking in Greece. Many Greek students were surprised by the events that take place during Freshers Week at British universities, and they considered the drinking to get drunk as an odd behaviour. It was extremely interesting to discuss the differences between UK and Greek students and how their expectations of university life contrasted because of cultural differences. The next day, we ate breakfast overlooking wonderful views of the city at the hotel’s rooftop restaurant. The amazing views continued as we zig-zagged our ways through the small streets to conquer The Acropolis. 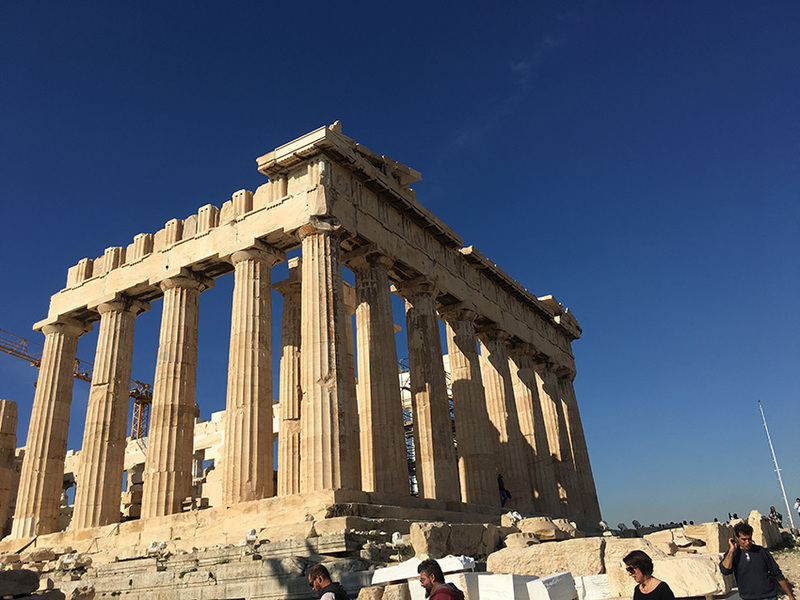 The Acropolis contains several historically and culturally significant buildings, the most famous being the Parthenon. Views from here stretch out all over the city, reaching as far as the coast and the mountains. It was truly breath-taking to be stood surrounded by thousands of years of history. This cultural exchange trip was a great experience that I would recommend to everybody! Immersing yourself into another culture by learning and understanding their way of life is so valuable personally, educationally and professionally. Looking for more about opportunities to travel at Cardiff Met? 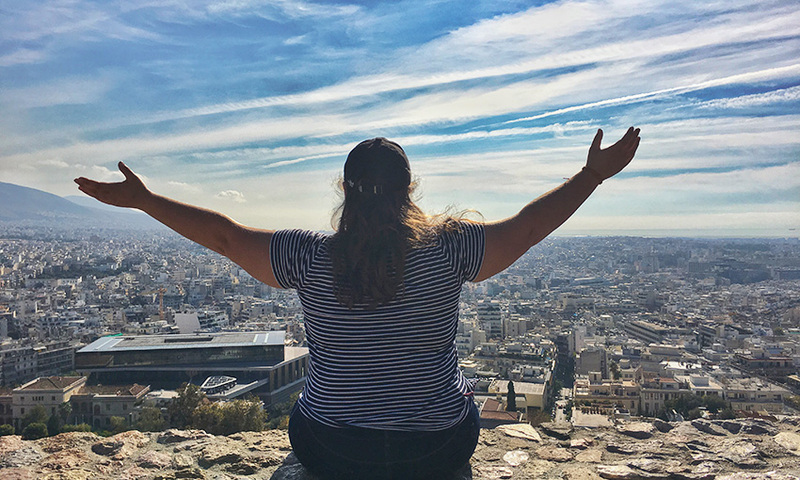 Check out our Study Abroad section.